I just stumbled on this by accident. The King Kong Orcheztra !! 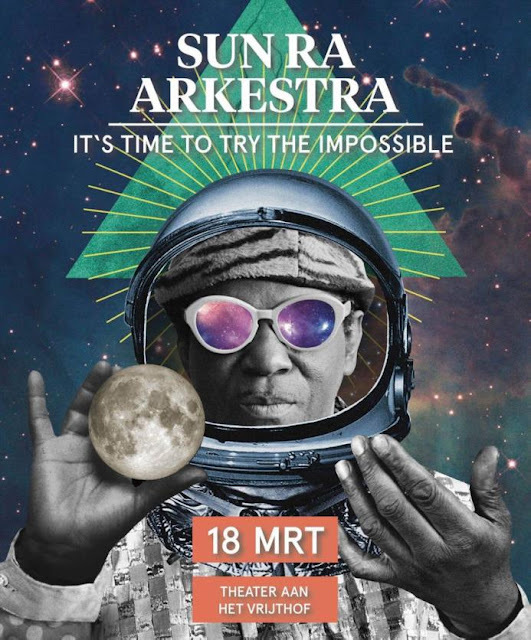 Last week, at 'Het Depot' in Leuven, BE, Sun Ra's Arkestra (under the direction of Marshall Allen) was my guide to outer space. From cool jazz to avant garde. No need for chemical substances. Just music. Here's some nice pictures (by Gieke Merckx) that I found on the net. The first album by The Universe By Ear is finally available. As download, CD and LP ! Stanley Jason Zappa was special guest at Zappanale in 2008. The above picture was taken by Kilissa Cissoko at the Zappanale Festival at 2 a.m., late on Saturday night (or very early on Sunday morning): Stanley Jason Zappa and Elliott Levin got on stage for some high energy free jazz. More recently, Stanley J. Zappa teamed up with Jooklo duo (Virginia Genta and David Vanzan). The new trio is called Jooklo Zappa, and they will be touring Europe soon. At a tribute concert to his late father in April 1991, Jeff Buckley met and impressed Captain Beefheart's former guitarist Gary Lucas. 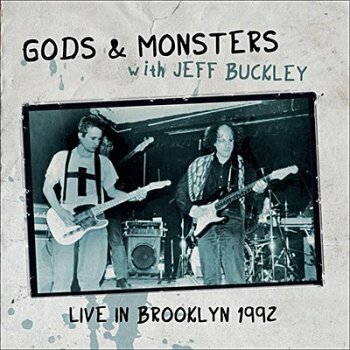 They began to collaborate on songs, and before long Buckley had joined his band, Gods And Monsters. This remarkable set combines standards and songs they'd written together, including an early performance of the classic Mojo Pin. Originally broadcast on FM radio, it's presented here together with background notes and images. Released in 1990, this bootleg vinyl album presents part 3 of "The History Of American Music in 3 E-Z Pieces" : "The Baby King". Recorded in concert on 1990 03 09 in Bonn-Beuel, Germany. Here's an audio fragment from the Vienna show. November 11, 2016, Mats Gustafsson and the Nu Ensemble did a concert at the 'Schlachthof' in Wels, Austria. A recording of the show got broadcast on Austrian national radio, Ö1 on March 5, 2017. 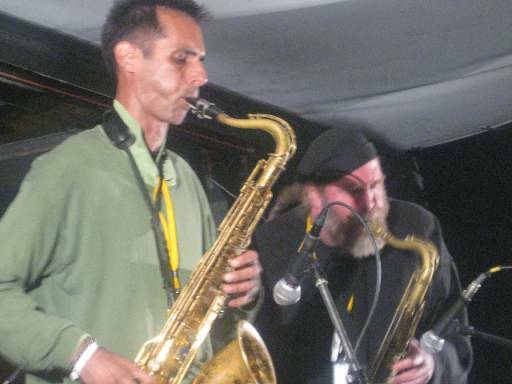 The band performed one piece, entitled 'Zap', dedicated to Frank Zappa. The concert included lots of textual and musical references and samples of Zappa's music. Another vinyl counterfeit / re-issue of the "Bat Chain Puller" CD from a couple of years ago. Stamped cover. 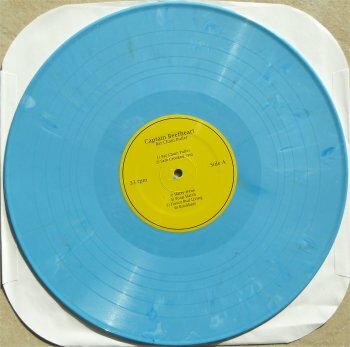 Marbled blue vinyl. I only recently brought this copy home, but it's probably from around 2015. Antwerp duo Wim Tops and Peter Revalk released three albums as Wizards Of Ooze between 1994 and 1999. Funky music with a twist. Almost twenty years later, theButeo Buteo label is releasing an album with unreleased material from that period. 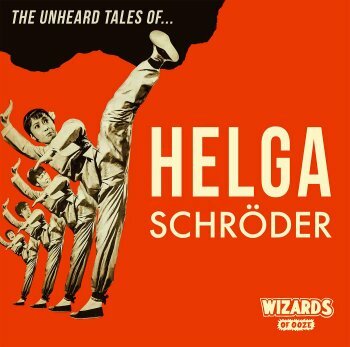 Fabulous music in an astonishing package : "The Unheard Tales Of... Helga Schröder". Out on vinyl. Comes with a CD in the same package. Brett Clement wrote a paper on Zappa's Chord Bible. 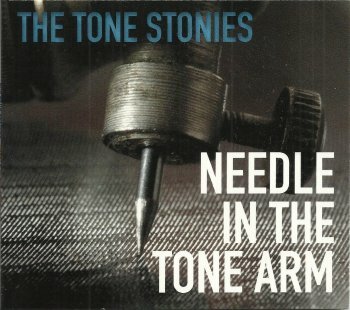 Released in 2016 as a download album and more recently as on CD, "Needle In The Tone Arm" is The Tone Stonies second album. 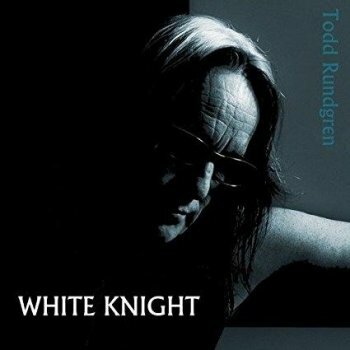 No original compositions on this disc, but one does get an excellent set of classic rock songs. Excellent versions, if I may say so. Talking Heads' 'Women vs Men" includes Sade's 'Why Can't We Live Together', Donnie Vliet's 'I'm Gonna Booglarize You Baby' presents superb vocals with the roaring guitar, Lee Hazlewood's 'Boots' gets a slow version with a great bass line, and FZ's 'Take Your Clothes Off' gets a teen bop surf make-over. One CD that presents 11 best of tracks plus 3 bonus live tracks, and a second CD with live material, previously available on the "Get Your Buzz On" blu-ray / DVD. Nothing new, really, just a fine collection. 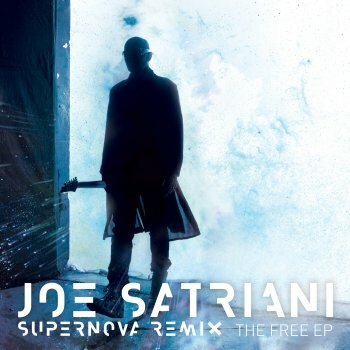 December 2016, Joe Satriani made this 5 track album available as a free download from his website. Remixes of some of the "Shockwave Supernova" tracks by John Cuniberti and by Keith More. 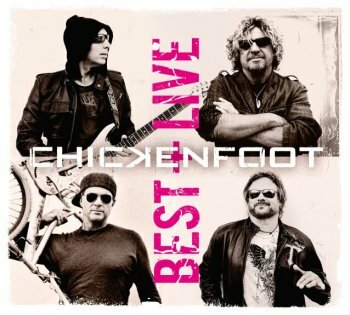 Chickenfoot = Sammy Hagar, Michael Anthony, Chad Smith and Joe Satriani. 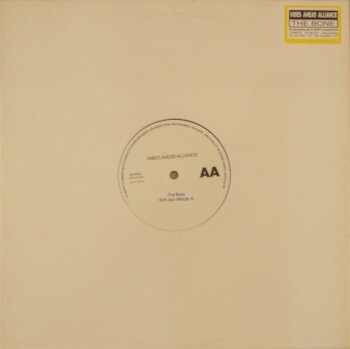 This 7" single on coloured vinyl (although I've seen black vinyl copies for sale as well) is the teaser for the new album. Two tracks from the upcoming 2CD : 'Divine Termination' and 'Highway Star'. Philippe's album of the day from a little while ago : Drifter with "Flow". Markus Reuter just released "Kopfmensch", a compilation album, as a free download. The Ensemble Modern, conducted by Jonathan Stockhammer, recently did a concert in Berlin, performing the music of Frank Zappa. I wasn't able to attend but, fortunately, my Zappateer friends made an audience recording for everybody to enjoy. 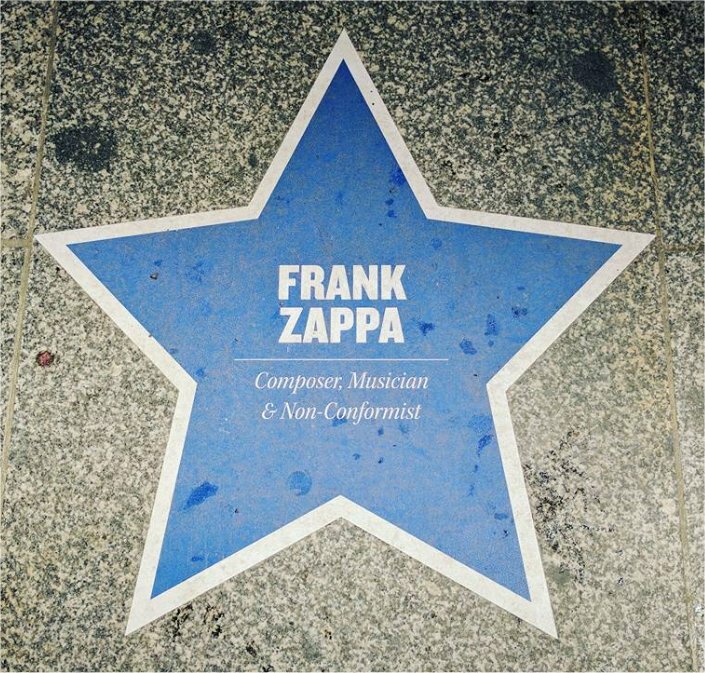 This brings back nice memories of seeing FZ and the EM in Frankfurt almost 25 years ago. A couple of months ago, Flat Earth Society did a remarkable concert. The band provided the music / soundtrack to a silent documentary at the Red Star Line Museum. I was told that FES would be making a recording of this soundtrack and that the combination soundtrack + documentary would become part of the collection of the Red Star Line Museum. Visitors would be able to watch the documentary and to listen to the soundtrack at all times. More recently, I learned that the soundtrack will be out on CD as well. That's excellent news as far as I'm concerned. 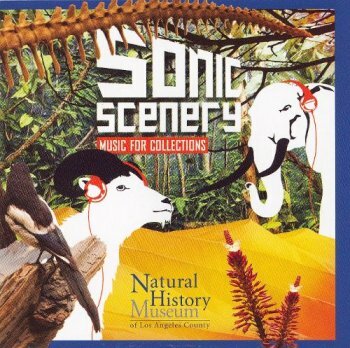 About ten years ago, the Natural History Museum Of Los Angeles invited various artists to create and to contribute a musical piece that fits the art collection of the museum. The Sun Ra Arkestra, led by Marshall Allen, contributed three pieces. One improvised, untitled piece and two performances of Sun Ra compositions, 'Mayan Temples' and 'Space Chord'. All three recordings were made at the museum, in the hall of Ancient Latin America. 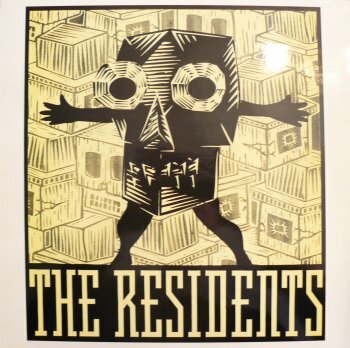 Next to the Arkestra, the album presents pieces by Autolux, Nels Cline, David J, Stephen Hartke, Jon Hassel, Languis, Matmos, Nobody And Mystic Chords Of Memory, and Ozomatli. Lots of great music to be discovered. Liner notes (and local audio system) intro by Esa-Pekka Salonen, music director of the LA Philharmonic Orchestra. The Arkestra performances sound great, with Marshall Alen on his EVI (electronic valve instrument)! I love the idea of adding music to the visit of a museum. Not that it has to be blasting out of the speakers at the museum, but that you get it as an audio option. 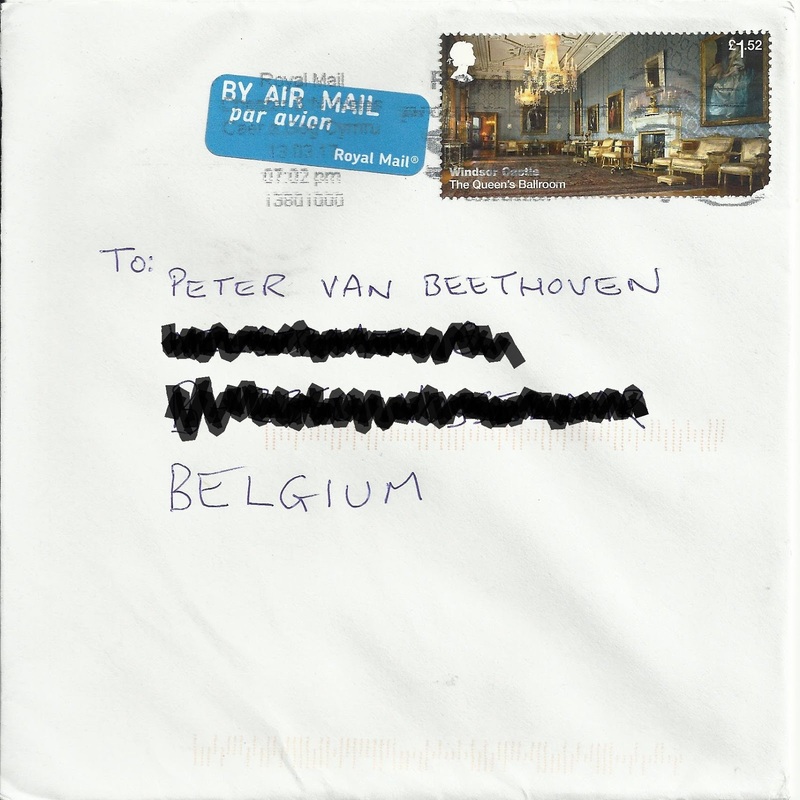 I guess it's a bit like Flat Earth Society adding music to silent movie / documentary at the Red Star Line Museum in Antwerp BE. And that was a fabulous sensation. 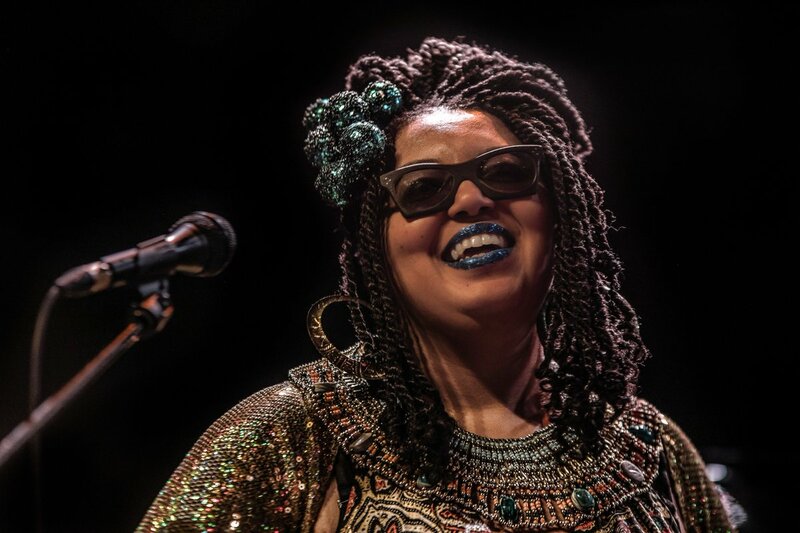 Saw the Arkestra in concert in Maastricht NL yesterday. They share such a positive attitude and vibe. This 1976 album features Albert Wing and Mike Miller. 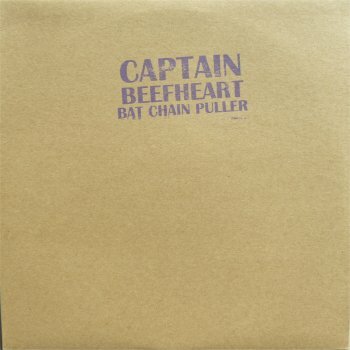 New 'radio show' album by Captain Beefhart. "Electricity 1967-1968 is a collection of very rare recordings from Don Van Vliet AKA Captain Beefheart. The tracks were recorded live at MIDEM Pop Festival, Cannes Beach, France, at Frank Freeman's Dance Studio, Kidderminster, UK and Allegro Sound Studios, Los Angeles, CA. Track one, "Electricity" (1968 Live) Van Vliet's adaptation of the Howlin' Wolf vocal-construction device is in full frontal view, as is the evolving Magic Band rhythmic concept and French/Drumbo's incredibly responsive manifestation thereof as he shadows Van Vliet's singing; an outstanding version of one of the most innovative songs in the proto history of avant-rock. "Kandy Korn" (live) is structurally perhaps the most adventurous of the lot, it's interlocking parts peering past any jam-o-philic indulgences at the martial art to come." 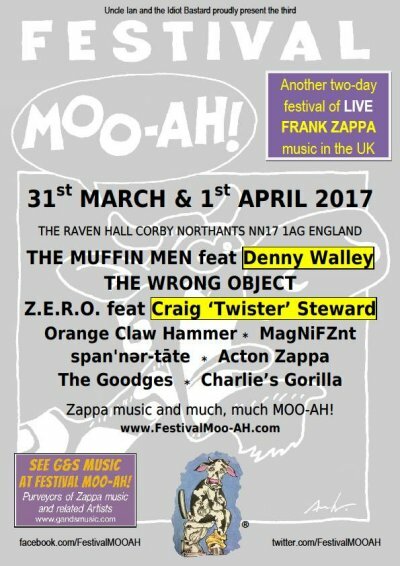 Two concerts announced by Captain Cheese-Beard. Performing pieces from the "Symphony For Auto Horns". Adding data, days before the Wizards Of Ooze catalogue is to be re-released. Here's a picture of the first 12" that got released by Vibes Ahead Alliance, later to be renamed Wizards Of Ooze. Also released on CD EP around the same time. First track from the upcoming Stuff. album. 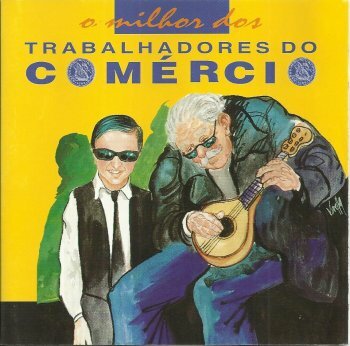 The Trabalhadores Do Commércio released their "O Milhor Dos Trabalhadores Do Comércio" in 1995. Apparently, the album did well as it got re-released in 1996 already. The re-issue had two bonus tracks, one of which was the band doing Frank Zappa's 'Bobby Brown'. I recently found a copy of "O Milhor...". 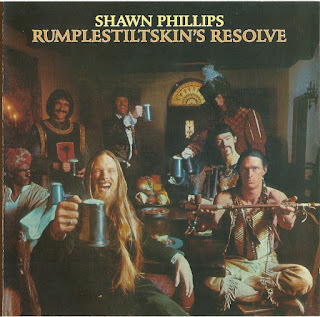 I do have the album cover to share. Good God recorded Frank Zappa's 'King Kong' and released it on their 1972 album. It features a certain Robert Martin on french horn. Upon my return from London last Thursday, I found a nice surprise in my mailbox. True, I was in the UK but I was too early for the upcoming Muffin Men tour as it only kicks off in April. Also true, the surprise is all about the upcoming Muffin Men tour. Keeping up with traditions, the German Arf Society publishes the Arf-Dossier every three months. 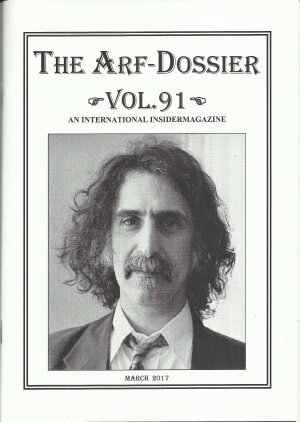 A fanzine dedicated to Frank Zappa. In this latest issue, editor Peter Görs is wondering if there is still need for a paper version in this time and age of internet and social media. He even says that he's calling it quits and that the only way for the fanzine to continue, is to find a new editor. Personally, I like to browse through the pages but I admit that the 'news-value' is rather limited. Maybe the format has to be re-thought. June 6, 2017 at 'De Roma' in Antwerp. A duo album of songs and free improvisation to be published at the end of January in Europe and the US on Rare Lumiere. 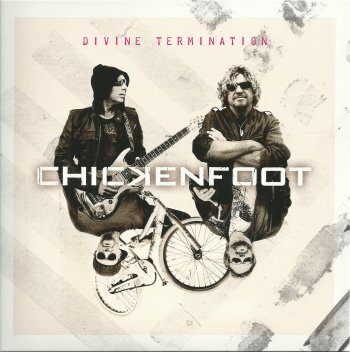 New single 'Divine Termination' and a new album "Best + Live" from Chickenfoot. Joe Satriani, Chad Smith, Sammy Hagar and Michael Anthony. Mauro's Gruppo Di Pawlowski will be performing two nights in a row at 'Het Bos' in Antwerp, BE. Friday May 19 & Saturday May 20. Last week, I received a small wooden box. The box had "Les Boucles Absurdes" written on top of it and it presented a USB stick. 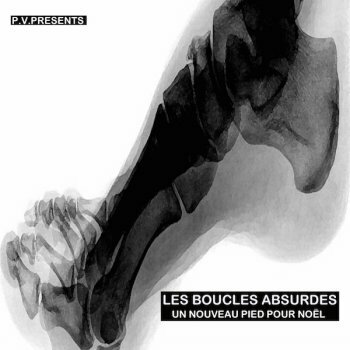 Never afraid to put a memory stick in my pc, I plugged it in to find "Un Nouveau Pied Pour Noël", the brand-new album by Les Boucles Absurdes. Les Boucles Absurdes is Jean-Pierre Jonckheere and Pierre Vervloesem. "Un Nouveau Pied Pour Noël" (A New Foot For Christmas) is their fourth release and it's superb. The album presents six tracks. Every track is some sort of loop. (Les Boucles Absurdes = Crazy Loops). "Un Nouveau Pied Pour Noël" will take you on an amazing journey. I love it. I'm hearing new things all the time. I don't have a clue on how they made it. Would love to know if they would be able to produce this live. If I understand it correctly, this band wasn't called Rraouhh ! to scare people. Quite the opposite actually, as it should be interpreted as a cry for joy. "C'est Louche" (It's shady) is the band's second album. 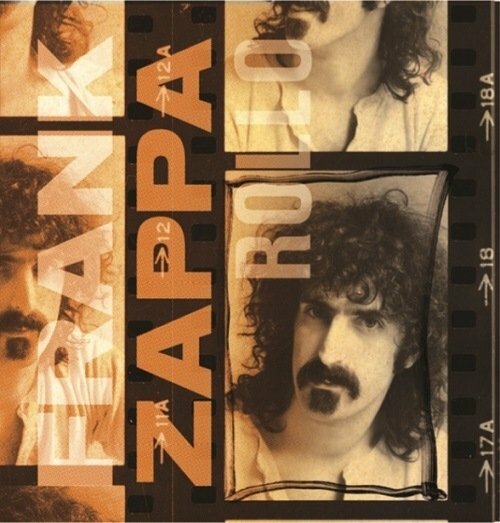 "Zapped - Frank Zappa by Frank Zappa"
Tohpati Bertiga's brand-new album, "Faces", is out on MoonJune. Pre-sale tickets for Gov't Mule's Come What May 2017 Spring Tour - making stops in New York, Philadelphia, Washington, DC, St. Louis, Kansas City, Minneapolis and Milwaukee - are now available at MULE.NET. And as an added bonus, every ticket purchased (during the pre-sale and on-sale) includes a download of Gov't Mule's forthcoming album! You will receive an email from MusicRedemptions.com with instructions on how to claim your download following your ticket purchase. Gov't Mule has also announced their return to the Peach Music Festival, August 10-13 in Scranton, PA with a special Gov't Mule & Friends set. Tickets for the festival are ON SALE NOW. And lastly, following sold out shows in New York, New Jersey, Philadelphia and Boston, additional dates for The Last Waltz 40 Tour have been added. Warren will be joined by Danny Louis, Dr. John, Jamey Johnson, Don Was, Terence Higgins, Mark Mullins and more as they pay tribute to The Band's legendary farewell concert. Tickets are on sale now at WARRENHAYNES.NET. That's Don Preston and Bunk Gardner. Plus Chris Garcia and Elin Sandberg. Next Saturady, the Bruno Vansina Orchestra will be performing at jazz club 'De Singer' in Rijkevorsel, BE. Next to Bruno Vansina, the tentet features Teun Verbruggen (drums) and Kobe Proesmans (percussion). 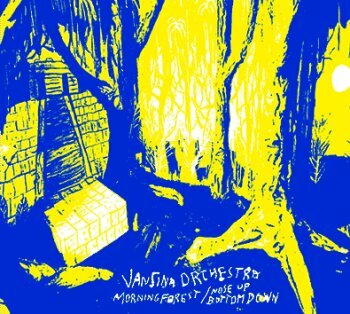 The ensemble has one album out : "Morning Forest / Nose Up Bottom Down". 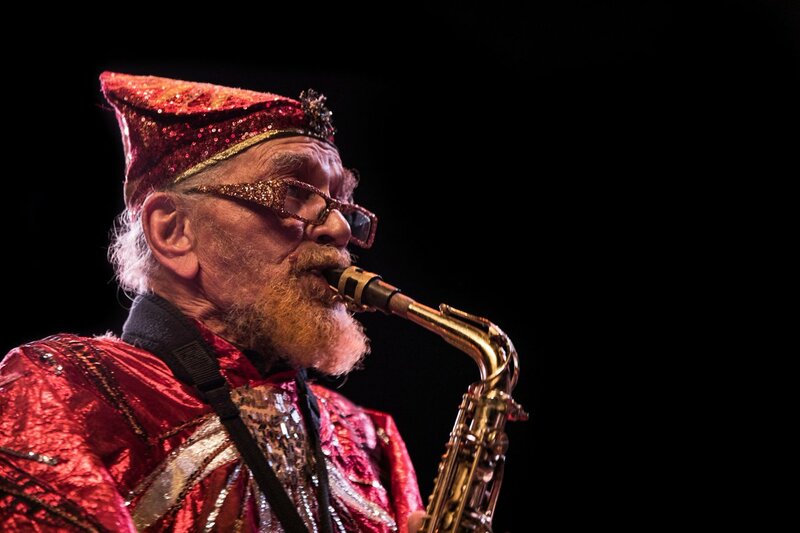 The Sun Ra Arkestra are looking for a baritone sax. Is there someone Out There who can help them ? Rockets as rewards ! The first track, 'Baptism', starts with a narrator voice that asks 'Do You believe in evil?" while a deep dark throat singing voice fills the background. The tone is set. Sects Tape has just released their debut album. "We're All Pink Inside" presents eleven short and powerful pieces. A couple of familiar looking art prints and paintings from Donald Roller Wilson are for sale on ebay.